With a motto to “reach out and reach all”, NIOS follows the principle of freedom to learn i.e. what to learn, when to learn, how to learn, and when to appear in the examination is decided by the learner himself. There is no restriction of time, place, and pace of learning. The formal education, especially higher education is beyond the reach of rural children due to poverty and other factors like lack of infrastructure, unable to access the urban facilities etc. This is the reason that the life of 80% of rural India is underdeveloped. The only solution as envisaged by Swami Vivekananda is by spreading the education among masses. He said that suppose you open and free school in every village, still it would do no good, for the poverty in India is such that the poor children would rather go to help their father in the fields or otherwise try to make a living than come to school. Now, if the mountain does not come to Mohammed, Mohammed must go to the mountain. If the poor boy or girl cannot come to education, education must go to him/her. 1. Provide education to those who are unable to attend conventional schools for a variety of socio-economic reasons, as well as to those for similar reasons missed opportunities to complete their school education. 2. Meet the educational needs of differently able children. 3. Provide wider choice of educational programmes to learners. 4. Provide an opportunity to school drop-outs so that they do not remain under-educated. Ramakrishna Mission Ashrama, Divyayan Krishi Vigyan Kendra has taken a noble and innovative endeavour for sustainable education through synergy of formal education, multi-skill vocational education along with moral education in collaboration with NIOS. The process of education has witnessed change globally and is undergoing rapid transformation constantly. The focus of educational process has shifted from the teacher to the learner. Education is now learner centric instead of what it has traditionally been – Teacher Centric. The learner is now expected to be more responsible for his/her choice of subjects and also process of education than before. A large number of students decide to pursue education not through classroom teaching process but on their own time, at their own pace & place. National Institute of Open Schooling (NIOS) is one of the three national boards of Secondary Education through Open and Distance Learning (ODL) mode. It is the largest open school of the world. NIOS develops its own curriculum, self learning materials. 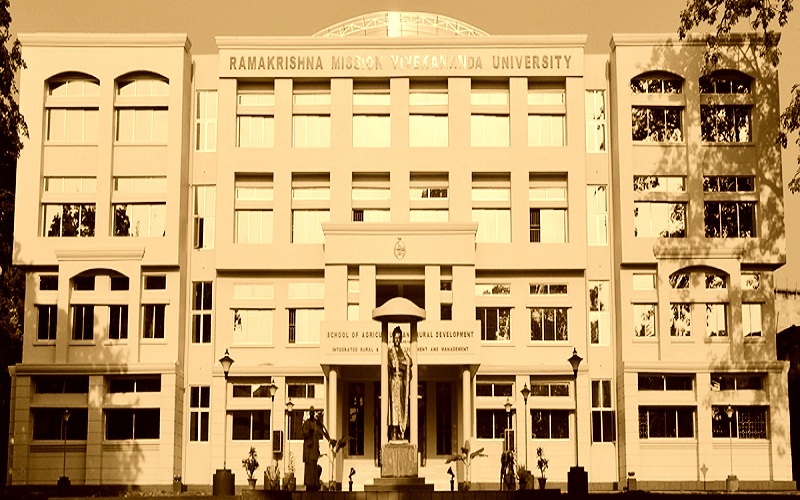 Ramakrishna Mission is a reputed institution of Open Basic Education (OBE) for Class – III, V, & VIII. AI for secondary and senior secondary education, RAVI for different vocational courses etc. are available courses in NIOS. An innovative attempt has been made to keep the poor and rural but intelligent students as residential students studying secondary and senior secondary courses of NIOS along with vocational subjects of Krishi Vigyan Kendra. After successful completion, they may further join different degree courses offered by Ramakrishna Mission Vivekananda University through Integrated Rural and Tribal Development and Management (IRTDM). Faculty Centre of this University is established in the Ashrama s off campus centre. The significant steps and all out efforts are being taken in this tribal population area to take the education to the unreached. But this is barely a drop in the ocean. With the humble beginnings, we have sown the seeds, but still miles to go for the best to achieve.